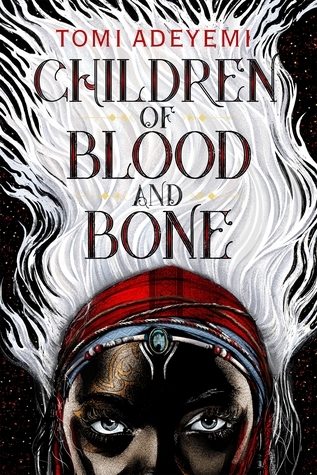 Read a full summary of Children of Blood and Bone by Tomi Adeyemi below. If you can’t remember what happened in Children of Blood and Bone and you need a refresher, then you’re in the right place. This recap was written by Charlie. In a world where magic has disappeared and people who used to have magical abilities are discriminated against, 16-year-old Zélie was chosen by the Sky Mother to perform a ritual that will bring magic back. She meets Amari, daughter of king Saran who fears and hates magic, and together with Zélie’s brother Tzain they search for the sunstone, a holy artefact they need for the ritual, and then travel to the island where the ritual is supposed to be performed. They are hunted by Amari’s brother Inan who develops magical powers himself and accidentally kills admiral Kaea, his father’s lover. Inan meets the group and grows close to Zélie while Tzain and Amari also develop feelings for each other. They spend some time with a group of divîners but they are attacked by the king’s guards and Inan gets separated from the group. In the show down Inan takes Zélie’s and Tzain’s father hostage and gets Zélie to destroy the scroll, one of the holy artefacts needed for the ritual. Their father dies and so does Inan when the king discovers his magical powers and kills his own son. Amari then kills her father and Zélie tries to perform the ritual without the scroll. In Orïsha there used to live ten clans of maji who could each control one element. The maji used to reign but some abused there powers. Even though the gods took away the royals’ powers, the kosidán grew suspicious of magic. 11 years before the story starts king Saran, who’s first family was killed by maji, destroyed the spiritual connection between the maji and the gods, taking away their magic and the divîners ability to ever become maji. He then ordered to have all maji killed (referred to as “the Raid”). There are, however, some magical artefacts that can wake magical powers in divîners. When her father murders her best friend Binta (who regained her magical powers through such an artefact) Princess Amari steals the artefact, a scroll. On the run she meets Zélie, a divîner girl from Ilorin who lost her maji mother, a Reaper, in the Raid. Mama Agba, a Seer who survived the Raid, regains her powers through the scroll. She has a vision of Amari, Zélie and Zélie’s brother Tzain setting out to bring the magic back with the help of a ritual noted on the scroll. She vows to keep Zélie’s father safe while they are on their mission. Inan, Amari’s brother and captain of the guard, sets out to find his sister and the scroll. On his way he burns down Ilorin, killing some people, among them a small girl named Bisi. He starts experiencing magic on his own like hearing other people’s thoughts, indicating that he is a Connector and therefore a maji himself. He tries hard to suppress the magic as he grew up learning to hate it. Amari, Tzain, Zélie and their lionaire Nailah ravel to a the legendary temple Chândomblé. They meet a sêntaro named Lekan. From him they learn that the only way to bring back magic is to rebuild the connection to Sky Mother within the next moon through a ritual including the scroll, the bone dagger and the sunstone. Lekan suggests Zélie has to do that as only a woman can become mamalàwo (the person who can perform the ritual) and Saran slaughtered all sêntaros besides Lekan in the Raid. He also gives them the bone dagger. To prepare her for her task, Lekan connects Zélie to the Sky Mother through a ritual. Inan, who was able to follow Zélie with the help of his Connector magic, and admiral Kaea, who is also the king’s lover, arrive and the latter kills Lekan. Tzain, Amira and Zélie flee and travel to Ibeji where Lekan suspected the sunstone to be. Inan tries to find out Zélie’s location by summoning her to a sort of dream land. It works but Kaea realises he’s a maji and he accidentally kills her with his powers when trying to stop her from telling on him. In Ibrji the friends find that the sunstone is used as the prize in some sort of gladiator competition. They compete and win with Zélie using an incantation that can summon the spirits of the dead, making them help the Reaper once in exchange for passage in a peaceful afterlife. They win the stone and lots of gold, giving the latter to their divîner crew, freeing them from the slave work in the stocks. When traveling on from Ibeji Inan confronts the friends. In an ensuing fight he enters Zélie’s memories and starts to feel bad for the awful things she and the other divîners experienced. He decides fight for a better Orïsha like his father wanted him to, but for an Orïsha where maji and kosidán can live together in peace. The four protagonists meet a group of divîners who live together in a hidden village. Zélie and Inan and Tzain and Amari develop feelings for each other. Inan tells Zélie of his new plans for Orïsha while Tzain is angry, thinking that Zélie is too naive. A celebration in the villagers interrupted by the king’s guards looking for Zélie and the scroll. They kill lots of divîner children, including their leader (Healer girl called Zu), a boy named Salim and a Burner named Kwame who sacrifices himself with the help of blood magic, killing many guards. Zélie is taken by the king’s guards. In the military fortress of Gombe Zélie is tortured by Saran who carves the word “maggot” in her back. Meanwhile Amari and Tzain visit agbön player friends of Tzain and get them to help free Zélie. They awaken the magic of Kenyon and his team and attack Gombe together. Inan helps freeing Zélie as he realises he loves her and can’t endure seeing her suffer. They even sleep together in his dream scape (or at least it is implied). But he also grows afraid of magic when he sees her friends’ attacks and decides again that is has to be destroyed. Z., A., T. and Kenyon and his team travel to Jimeta to enlist the help of a few mercenaries. Their leader is Röen, a flirtatious and fascinating young man Zélie has already met in the divîner’s village. Zélie promises them employment by Amari as soon as she becomes queen. Together they sail to the hidden island where the ritual is to be performed but are followed by the king. Zélie has lost her magic after Saran’s torture but doesn’t tell anyone about it. Zélie and the others arrive on the island on solstice but are surprised by Satan and Inan who captured Zélie’s father to force her to give out the scroll. Zélie does but her father still dies when he shields her from arrows. In her pain her magic comes back and she uses her blood connection to her father to summon a powerful form of blood magic, killing lots of guards. Inan sees his chance to destroy the scroll, taunts Zélie and hills the scroll in front of hm so her magic destroys the artefact instead of killing him. When he saves his father from a mercenary with the help of magic, Saran realises it was his son who killed Kaea and kills him as he’s a maji. Amari then kills her father. Through the power of her ancestors Zélie manages an incantation she doesn’t know. She uses strong blood magic and dies, meeting her mother in an afterlife. She tells her she and her father are at peace but Zélie’s story has just begun. When Zélie wakes again, Amari has become a Connector herself. We don’t get to know what exactly happened because of Zélie’s incantation. Lionaire, Foxer, batter – Animals in Orïsha have slightly different names than ours and also look differently. For example lionaires have horns.